New York City dwellers now can have fresh growlers of local craft beer delivered direct from area breweries to their doorsteps. After launching in San Francisco and San Diego earlier in 2017, Hopsy, a beer online marketplace and delivery service, has opened an East Coast hub in New York City. Hopsy started as a beer growler shop near San Francisco in early 2016, and soon after opened a second location in San Diego. The business started online ordering and delivery in early 2017. That took off so quickly that the founders realized this side hustle was more sustainable and profitable than walk-in retail. The California shops still offer shop growler fills, but those locations mostly have been repurposed as shipping hubs. The NYC hub is storage and delivery only for online orders. Beer drinkers can visit the Hopsy website, choose their city, and then peruse the beer selection, which changes seasonally. Once an order comes in, the Hopsy team fills the growlers using a CO2 purging process for freshness, then packages them in insulated boxes with ice packs for courier handling. 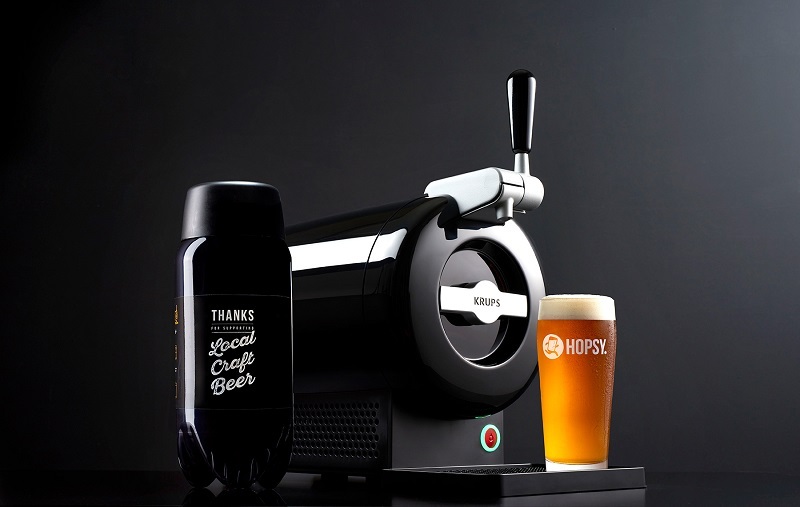 Costs start at $9.99 for a 32-ounce growler and $17.99 for a 67-ounce TORP (TORPs are packages that can be tapped by the Krups home draft appliance, which Hopsy also sells). 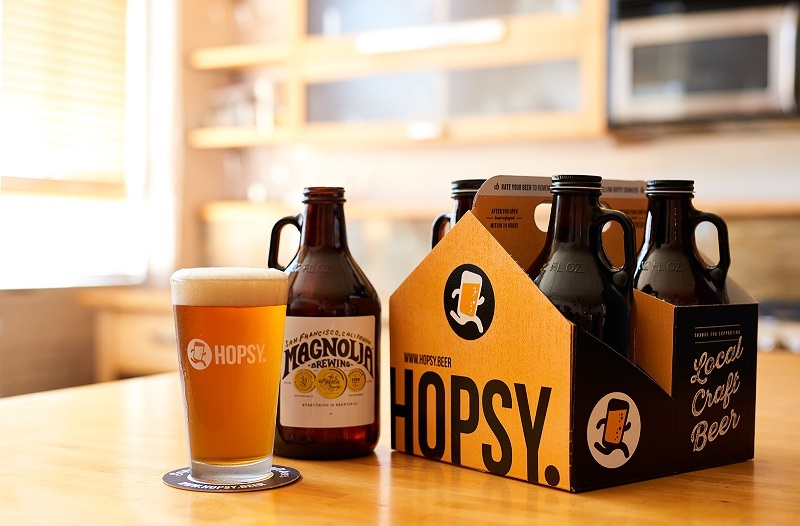 Pricing is by style, and Hopsy offers free delivery on orders of eight or more growlers or four or more TORPS. Otherwise, shipping is $15 per order. Munoz notes that courier pay is part of the pricing structure, and Hopsy discourages tipping the delivery person. New York breweries partnering with Hopsy include The Bronx Brewery, Sixpoint Brewery, Iconnyc Brewery, and Flagship Brewing Co. Current selections on the New York menu include diverse styles such as Flagship IPA, Greenpoint Harbor Black Duck Porter, Sixpoint Köld Schauer Kolsch and Iconyc Wet Hop Saison. I recently got my first shipment from Hopsy, and was totally blown away with the quality of the beer and the quick delivery. If your looking to try beers you know your friends have not had before, this is the way to get a few of them. Will continue to utilize them to obtain beers not available where I live. Horrible customer service. They missed numerous delivery dates. Missing growler in order once it finally arrived after the 5th attempt. Zero contact from Hopsy or delivery company advising of delivery status. Refused refund and only will add credit good for next expensive order. I just received an order in DC and the shipping was very smooth. The delivery driver called my cell in advance and offered to carry the boxes upstairs. The beer is amazing from the TORP / Hometap, I can’t describe just how much better it is than bottled. I was a skeptic at prices above $4/pint but it is definitely worth it.